When it comes to ways people want to improve their face, the chin is not a popular topic of discussion. 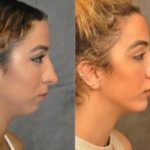 While it may be easy to overlook this facial feature, the chin actually plays a strong role in your overall facial appearance as well as how you are portrayed to others. To address undesirable chin features, a chin augmentation or chin implant surgery can be performed. Facial beauty is rarely defined by a single facial feature. Rather, it is the overall balance and harmony of the features together that portrays beauty and attraction. What people often fail to realize is that the size and angle of the chin can disrupt this ideal harmony. For example, if you have large features (nose or lips) but a small chin, a chin augmentation can dramatically improve your appearance. In many cases, a patient may feel as though their nose is too big and they need a nose job. However, a skilled facial plastic surgeon will first examine the nose as it relates to the size and shape of the chin. It is possible that the nose only looks big because the chin is too small. Yes, your chin actually says something about you. Past research studies have reported that the majority of CEOs of leading corporations have strong chins. A strong chin is considered a desirable male trait, as it portrays confidence, strength and masculinity. A “strong chin” is typically characterized by a large and angled jawline. 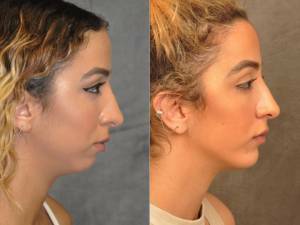 If you were born with a weak chin, the good news is that a chin augmentation can reverse it. For women, it is more attractive to have a balanced chin with the rest of the face, not too strong or too weak. 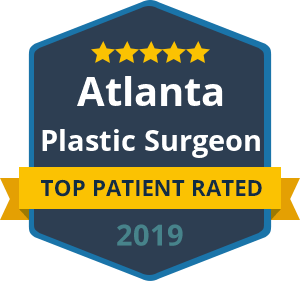 Dr. Ben Talei is an exceptionally talented facial plastic surgeon who performs chin augmentation for both men and women. This may include a surgical chin implant or non-surgical fillers that change the contour and size of the chin. How is your chin “defining” you?